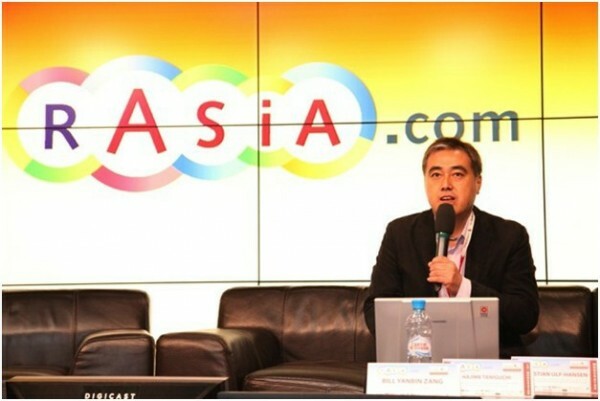 The Forum continued for 2 days and consisted of 4 main Sessions “Entertainment & Content”, “Wireless & Mobile”, “Innovative Banking Technologies of 2012. Modern Solutions. 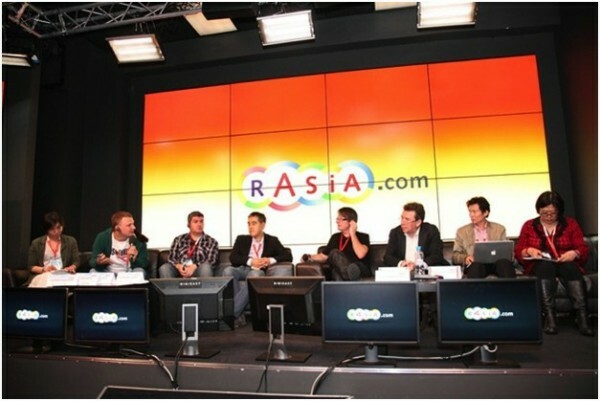 Financial and Investment Partnership of Russian and Asian Banks”, “New media, Therns in Marketing”. 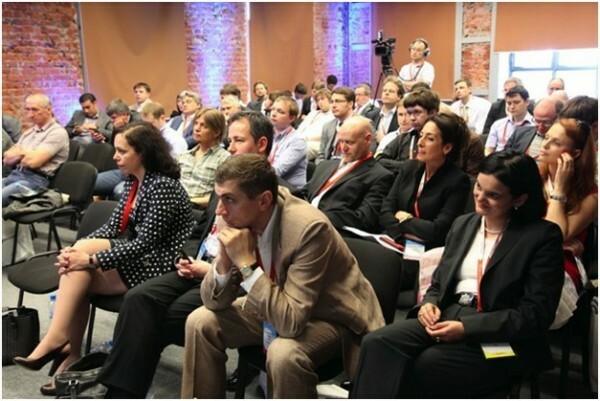 More than 150 speakers from 22 countries discussed in their Sessions about global questions. 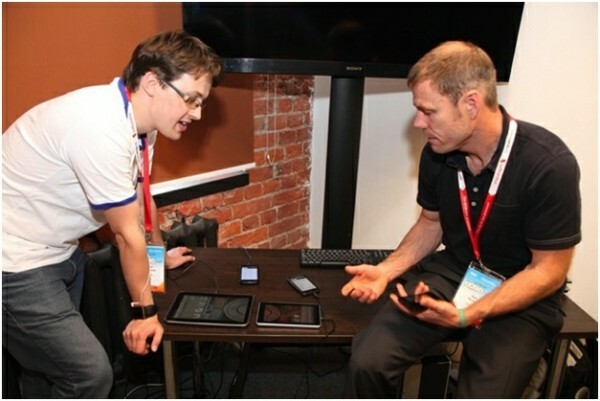 More than 500 professionals from different spheres was registered at the event. 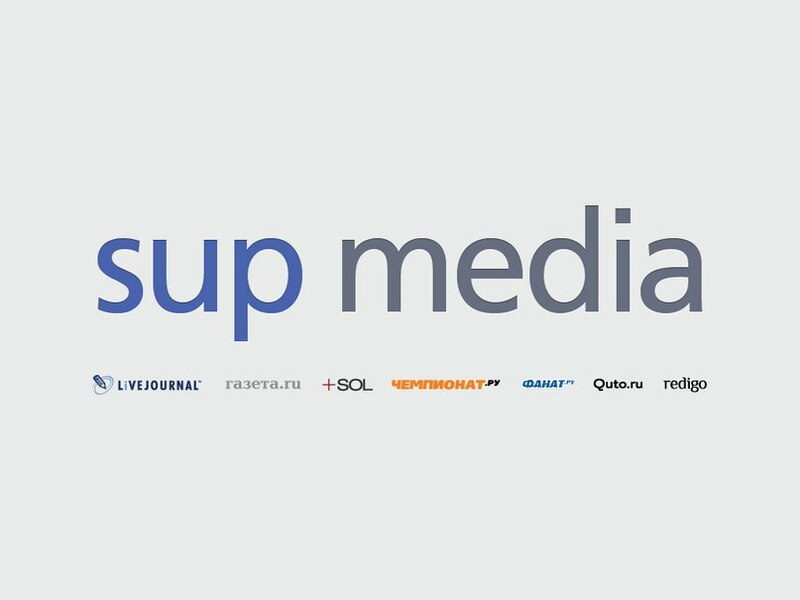 Thousands was watched the Forum in live streaming on LiveJournal.ru. 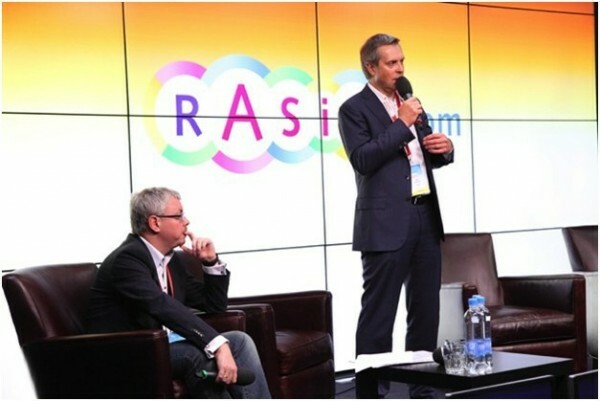 Programme of The Forum was arranged in such a way that every attendee of one or all 4 Sessions could build a complete picture about new ecosystem and content developing. The first question of this Session was “Record & Publishing. Survival Guide?”. Moderator of the Session - Hajime Taniguchi, Chairman of the Music Publishers Association of Japan (MPAJ), President of Avex Music Publishing Inc., who came out with key-note speach and specified a problem of record labels and publishing associations in relations to artists and managment in changing time leading up to a new digital. 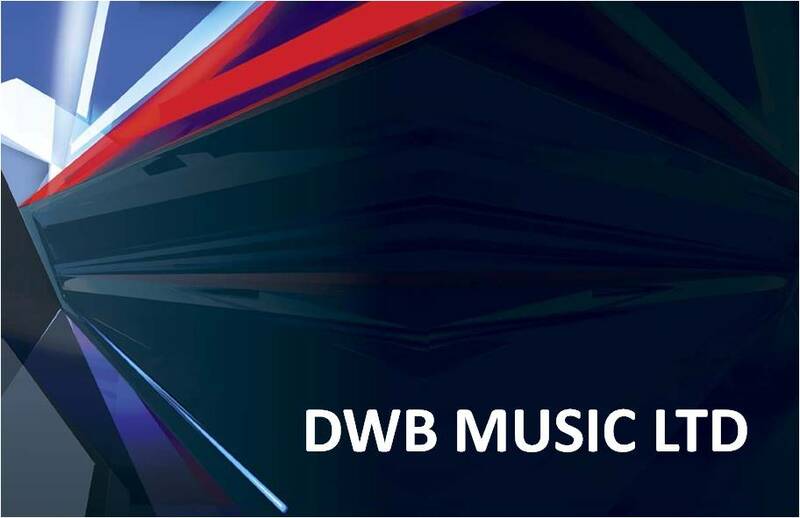 Hajime Taniguchi, Chairman of the Music Publishers Association of Japan (MPAJ), President of Avex Music Publishing Inc.
Greig Watts, legendary producer and founder of DWB Music Ltd., and Nozomi Daikuhara, leading music publisher, took part in discussion. From the artist side there was newcomer Russian artist Mikhail Bublik who showed his vision of growing of an artist and his songs in new digital. 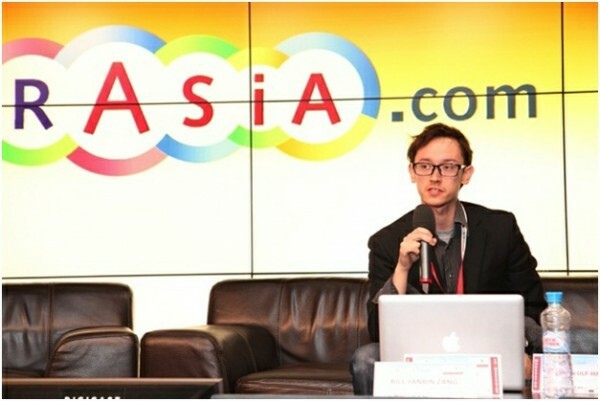 Alexander Tikhonov, Senior analyst of Intermedia Agency gave a marketing report and statistic in responce to a questions about piracy - the reason why market development slows down on a number of speakers opinion. Alexander also showed the first piracy phonograph record that amused audience and the Session continued. The second topic concerned to question of artist managment. Speakers discussed if cultural language is problem? 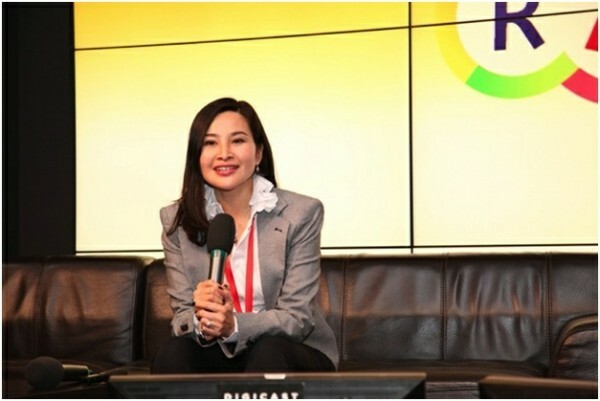 There are speakers from the whole world: Christian Ulf-Hansen - Founder of Plan C Management Company, Jean Hsiao Wernheim - International Chief Executive of Shanghai Synergy Culture and Entertainment Group/Shanghai Media and Entertainment Group (SMEG). As an example of Jean's winnings and experience was singer Ruhan from China who also came to the Forum. 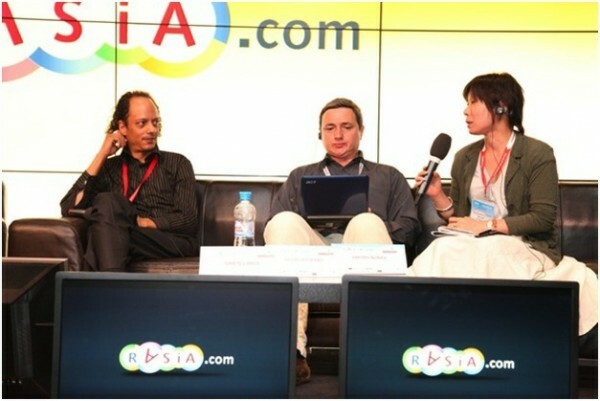 During the 3rd topic “Music & Digital. Easy opportunity to penetrate to other cultures. 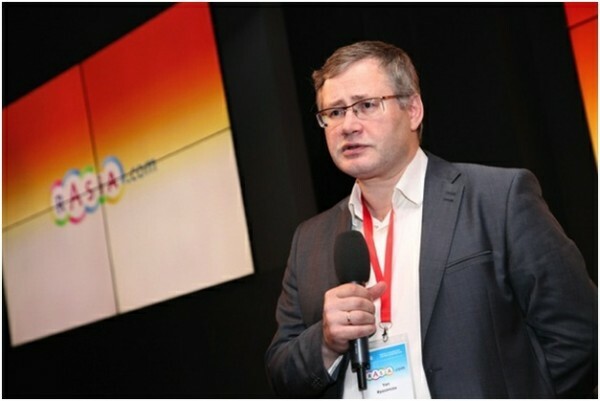 Is it commercially justified?” the Russian view represented Founder and Head Editor of NEWSmusic.ru Vadim Ponomarev. A report on theme “Bands & Brands. Brands like Stars, but not only. Tendencies and trends of youth cultures of Asia and their work with brands. Strengthening partnership of brands with street youth trends of Asia” presented Co-producer of Tokyo Music Festival in New-York, Producer of Syn K.K. - James Matsuki. Next in the Session "Entertainment & Content" were questions of cinematograph. 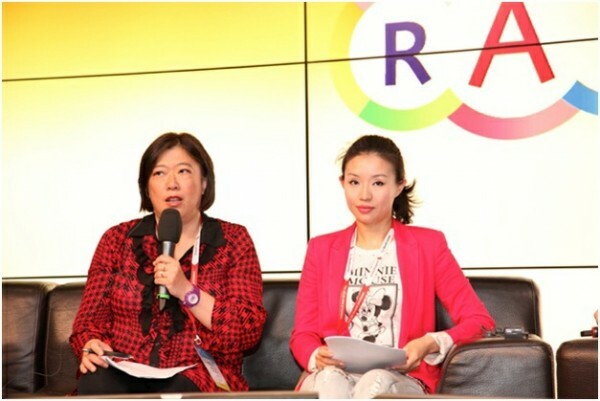 Sucsessful Chinese TV-producer Jessica Kam, Founder of production house Heart Farm Co, told about situation of Chinese TV- and sinema market. In her speach Jessica told anot only about a volume of Chinese market, but also about perspectives of co-producing, co-release of Chinese and Russian cinematograph. As an example Jessica mentioned famous movie of Sergey Bodrov "Mongol". On the same day her speach was announced in more than 50 online MSM. Later Jessica presented premiere screening of her movie "Just Another Pandora's box". 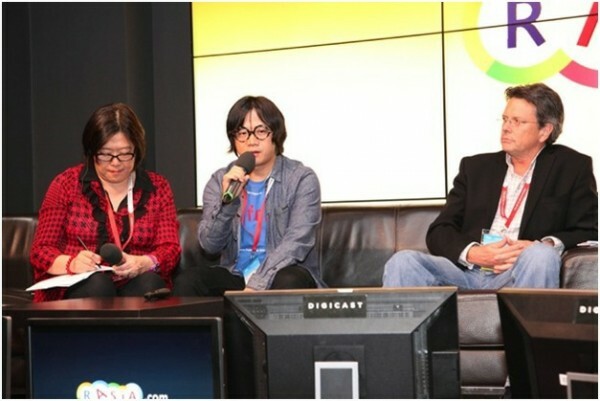 Attendees also estimated speach of Shen Lihui, Founder of Modern Sky Records. 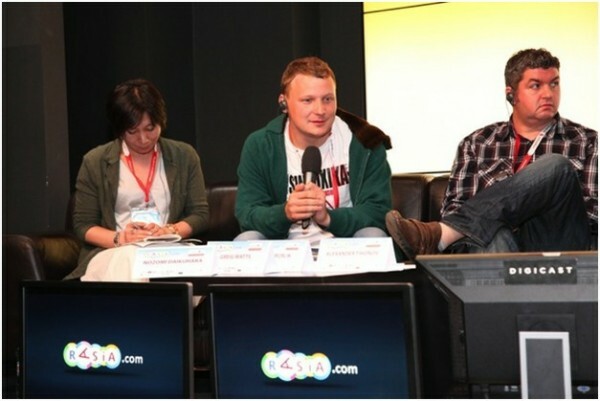 Shen told about “The increase of interest to festivals and live performances. How to move existing bounds? Physical & Digital". His company holds more than 10 of the biggest festivals in China with 100 000 - 300 000 of visitors, so Shen knows everything about festivals and its tendencies in Asia. 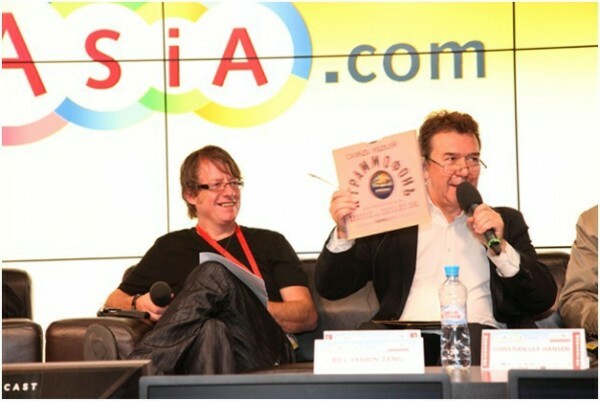 Scott McLean, famous promoter from Hong Kong, and Ross Knudson, leader of market of live performances in Singapore, also gave their poin of view on this question..
Matthias Roeder, Head of Eliette und Herbert von Karajan Institute, made presentation about classical music and symphony of the future “Briging Classical Music into the Digital Eco System”. The last question of the Session about global artist was raised by the moderator Christian Ulf-Hansen. After that round-table conference was held and video greeting from world-wide composer Nick Woods was shown. The discussion continued between Ed Yen, Bill Yanbin Zang and Eric De Fontanay. 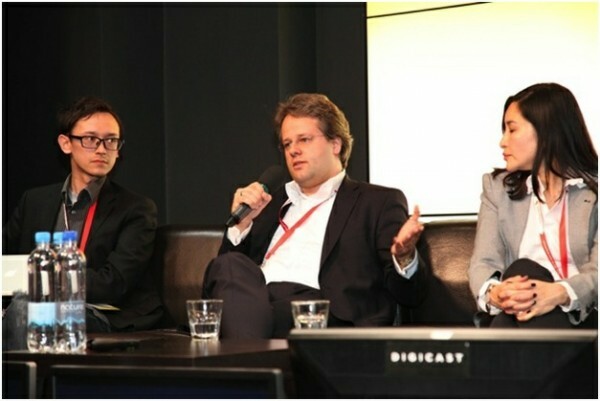 Session “Wireless & Mobile” was concentrated around big Q-lection. Key-note speach was presented by Anastassia Lauterbach, Senior Vice-President Qualcomm Europe. In her speach “Creating ’Better Than You Can Imagine’ Mobile Multimedia Experience” Anastassia told about perspectives of working at Russian market. 27 people was arrived from head-office in San Diego. They occupied few rooms and organized show-room. 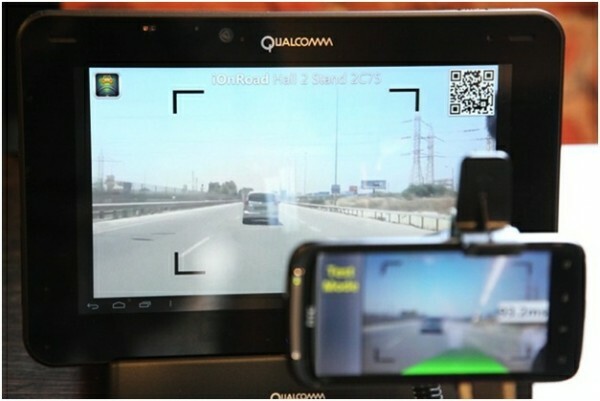 Qualcomm showed its new products - a new chip-set Snapdragon, desicions for wireless AllJoin, augmented reality Vuforia, and also the latest products for multimedia, graphics and games, and graphic optimisers of sound 7.1 quality. Just imagine that now every artist may have in his phone portable studio! And he may create a multi-channel and high-quality recording! After Anastassia was speach of Raj Talluri - Vice President of Product Management of Qualcomm CDMA Technologies. Next theme was dedicated to mobile applications. 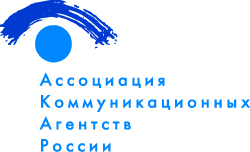 Maksim Romanov, Head of infrastructure and Innovations Branch of Department of Innovative Development of Economic Development Ministry told key-note speach. 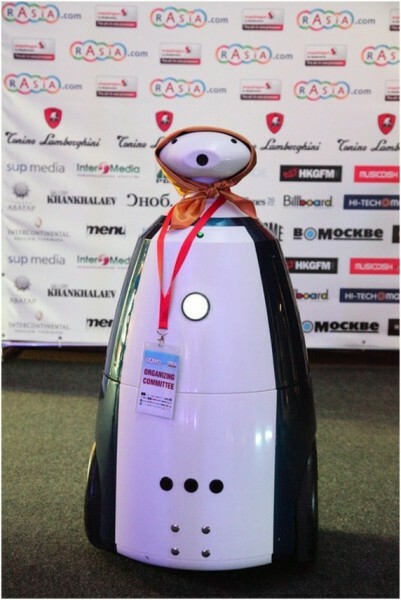 Olga Dudina, Representative of world-leading company in sphere of applications creating Mobile Roadie, told about reasons why unique applications of Mobile Roadie are used by Madonna, Adele, Katy Perry, Cristiano Ronaldo, artists of Cirque du Soleil, The Beatlles, and also by companies Universal, Sony, MIDEM and others. There were also good speach of special guest of the Session – Yan Ryazantsev, Director of Department of Investments and Expertizes of RVC. After coffee-break theme “Mobile operators. Look from all directions” was discussed. 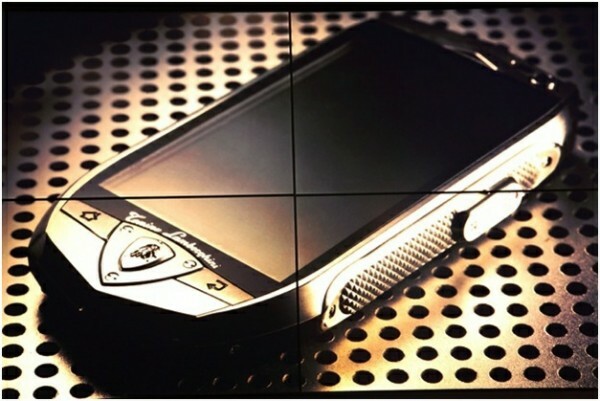 World premiere of new superphone Tonino Lamborghini TL 700 by superbrand Lamborghini was held within the theme. 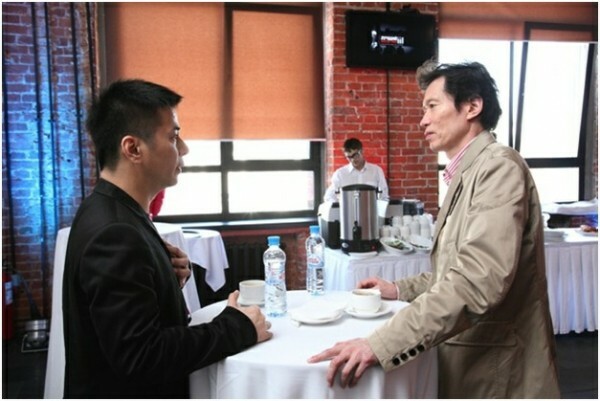 After that investments and new products in mobile industry was discussed. 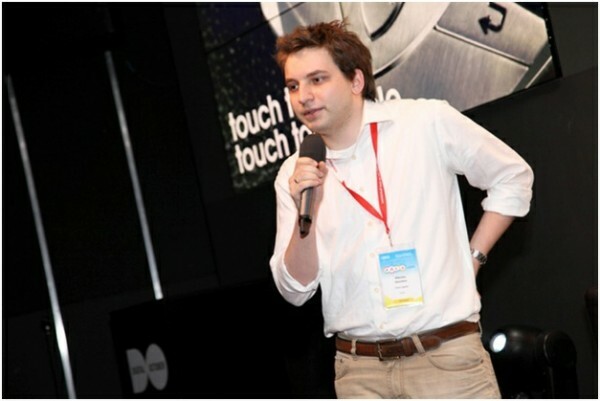 Nikolay Davydov, representative of iTech Capital, shared his experience. 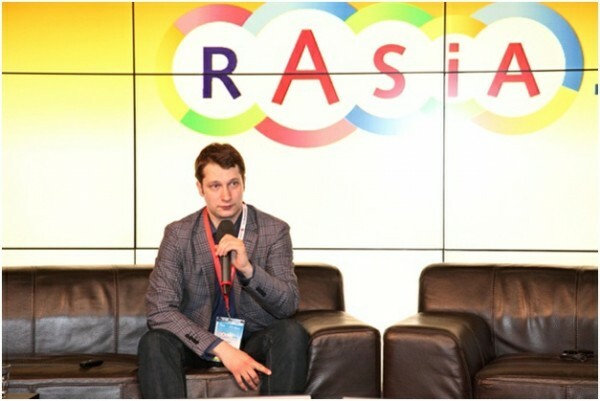 Ilya Naumov, Head of direction Agent of Mail.ru company, told about new products and services in new mobile industry which are developing by famous companies. There were also representatives of culture taking part in the discussion - Minako Ota, painter from Japan, and artist Boldo. 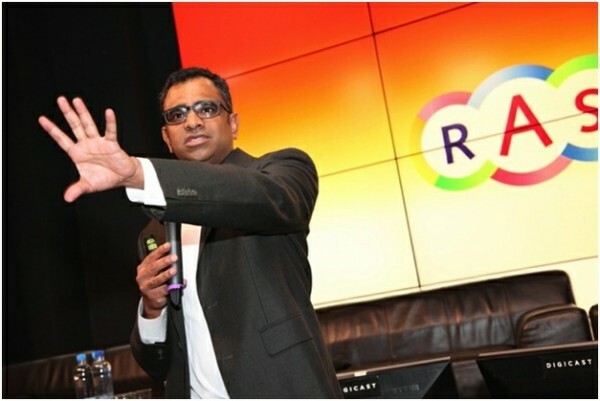 Ather that speakers summarized the Session and the first day of rASiA.com Forum. In the evening of the day there was speaker dinner in Tonino Lamborghini Boutique Caffe. 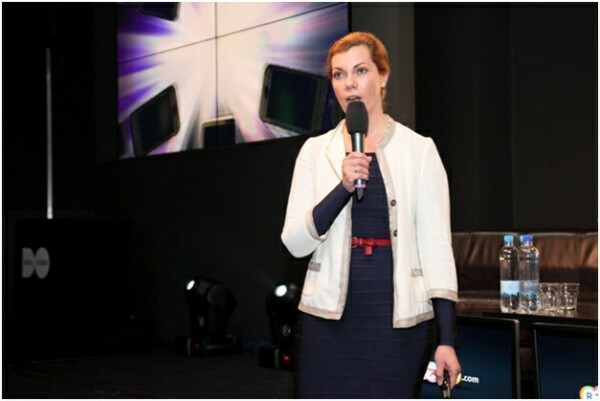 • Rimma Perelmuter - Executive Director MEF (The Global Community for Mobile Content&Commerce (UK).